Bronze Tiny Onyx and Crystal Tie Clip. 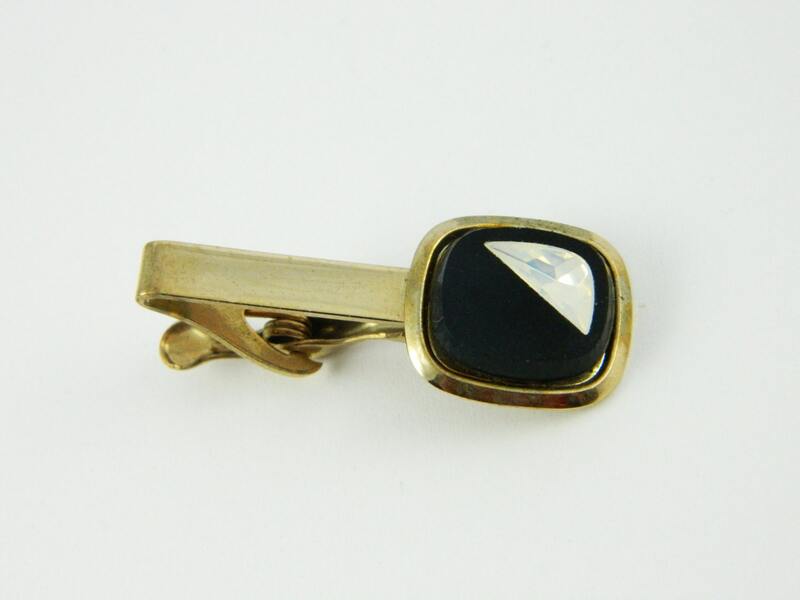 Bronze Tie Clip with Glass Cabochon in Faux Glass Onyx and Crystal. Material: Gold Plated Brass and Glass .